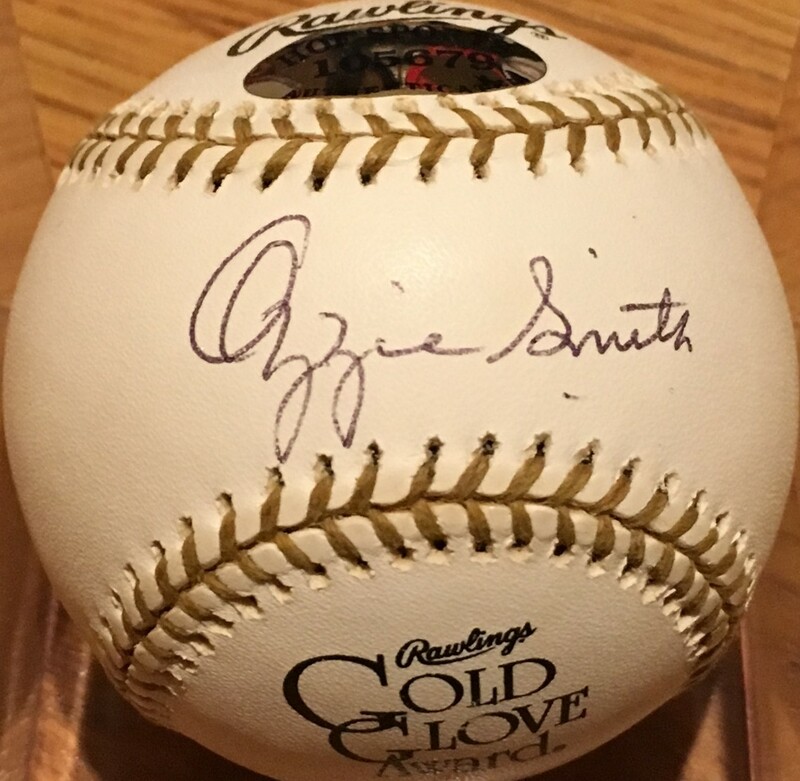 Rawlings Gold Glove Award commemorative baseball with gold laces autographed in black ballpoint on the sweet spot by 13 time Gold Glove winning shortstop Ozzie Smith. Authenticated by HOF Sports with their numbered sticker, and certificate of authenticity from AutographsForSale.com. ONLY ONE AVAILABLE FOR SALE.